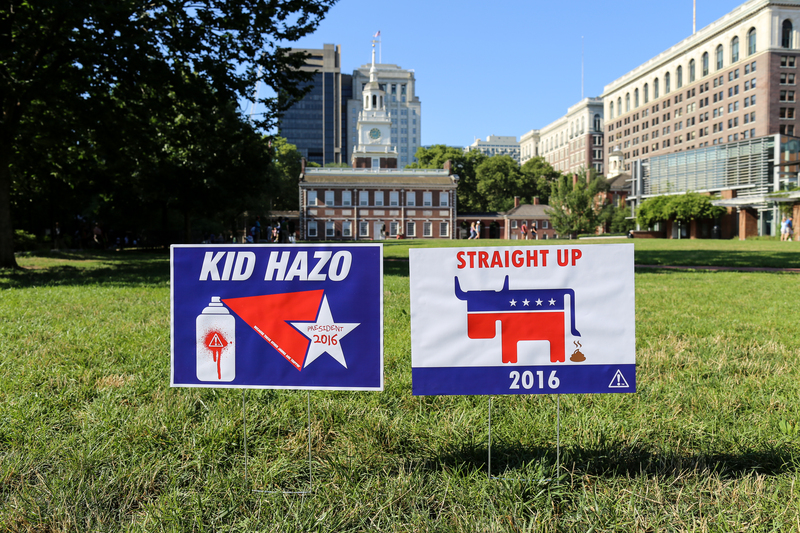 Also, with Americans facing the choice between two of the most disliked Presidential candidates in modern American history, Kid Hazo has rightfully decided to throw his hat in the ring and run for President… #Hazo2016, y’all! 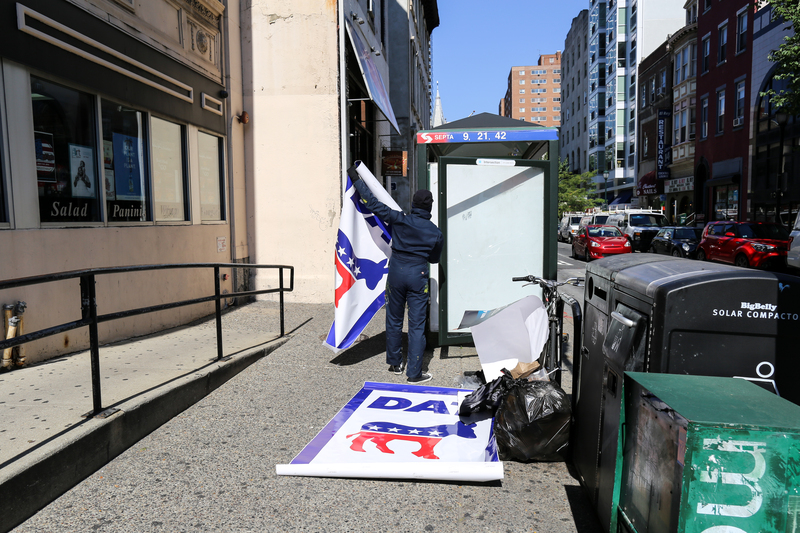 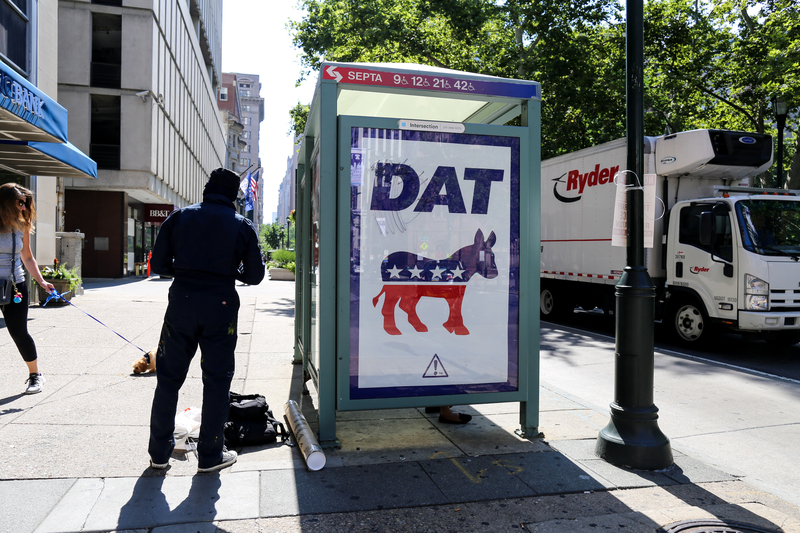 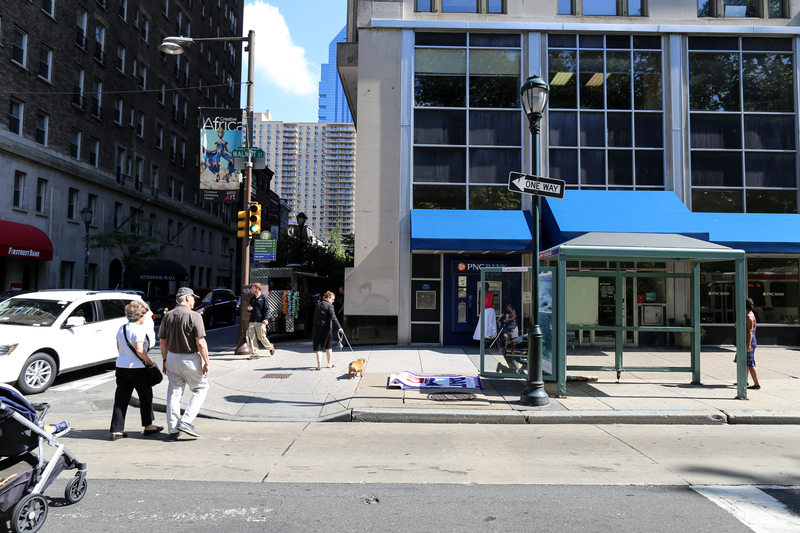 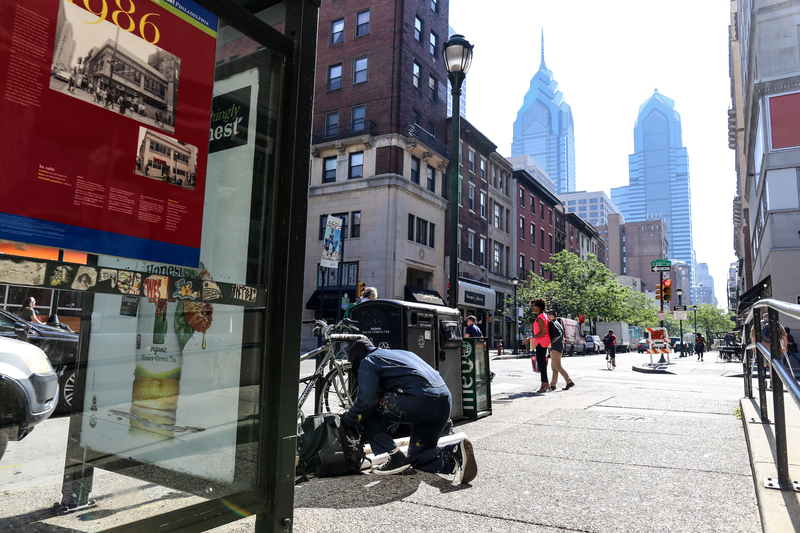 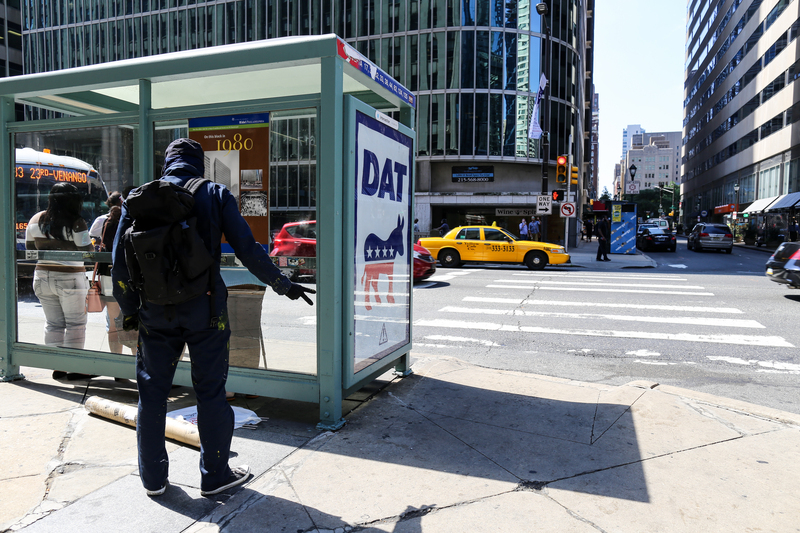 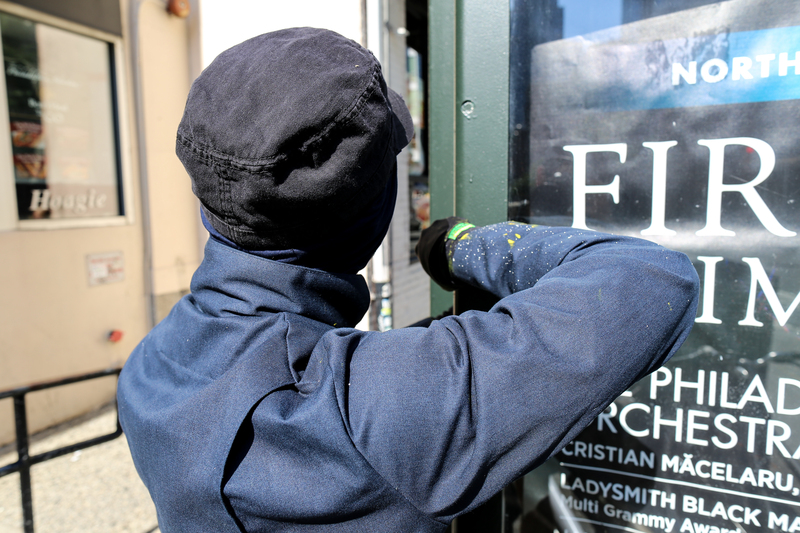 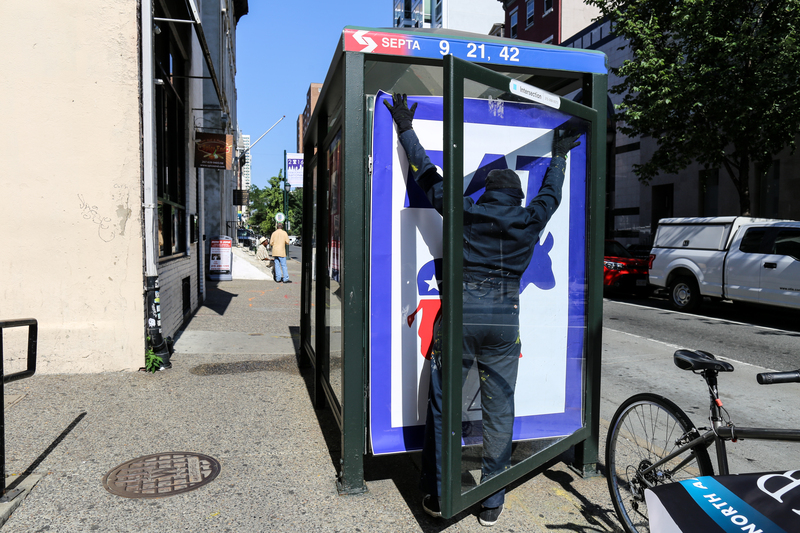 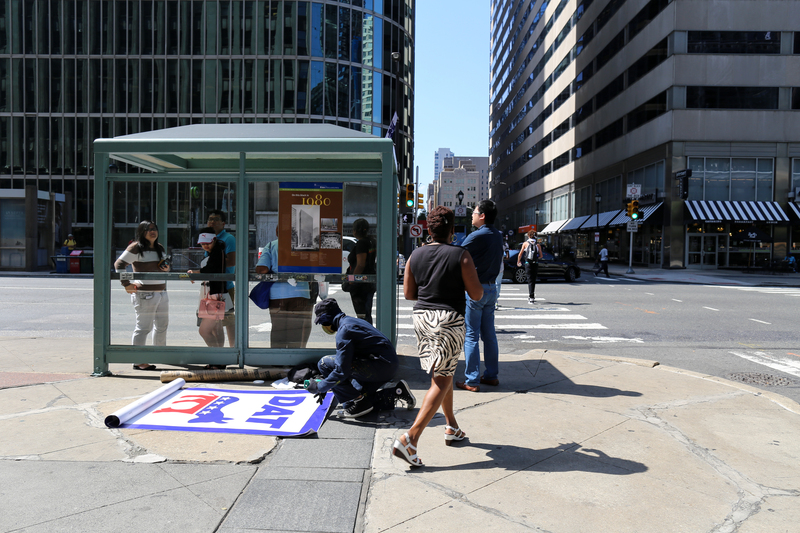 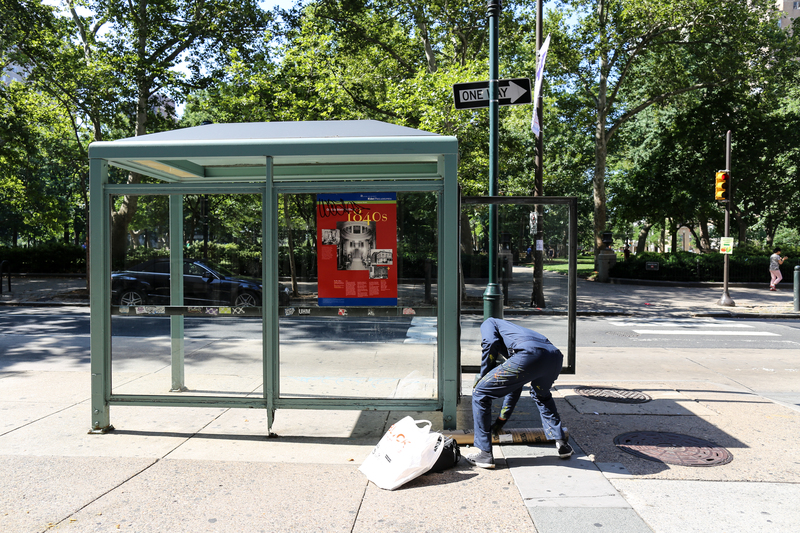 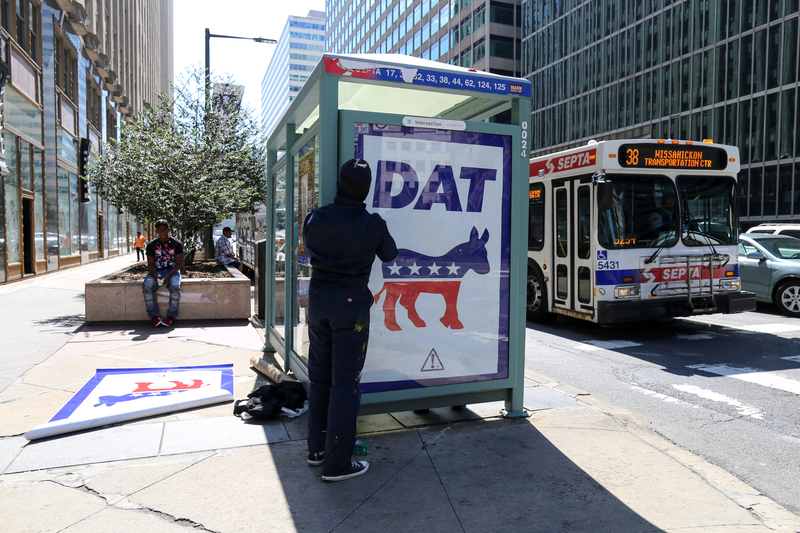 In a (likely impossible) effort to keep these bus shelter Ad Takeovers up through the DNC next week, I will not say where these installations took place, and if you know please feel free not to comment or put it on blast. 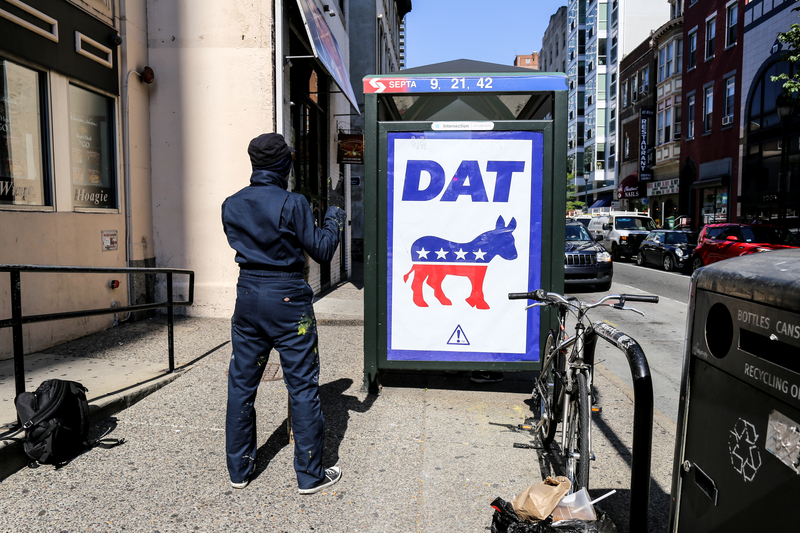 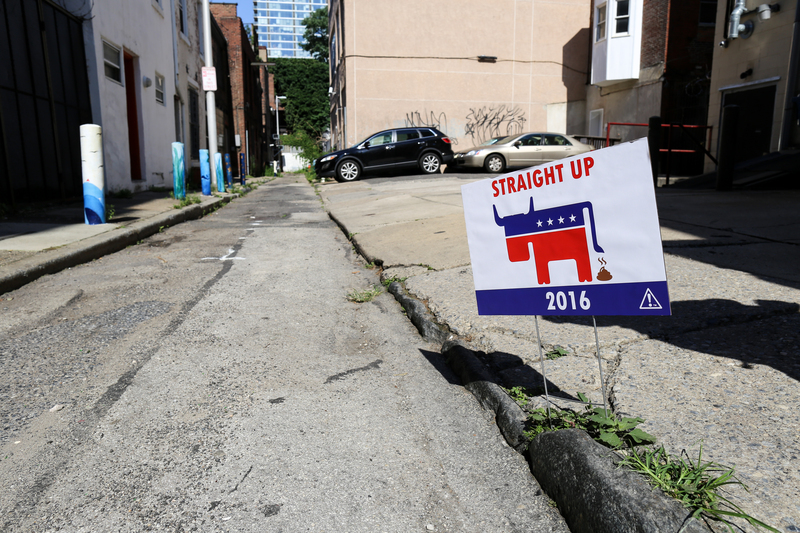 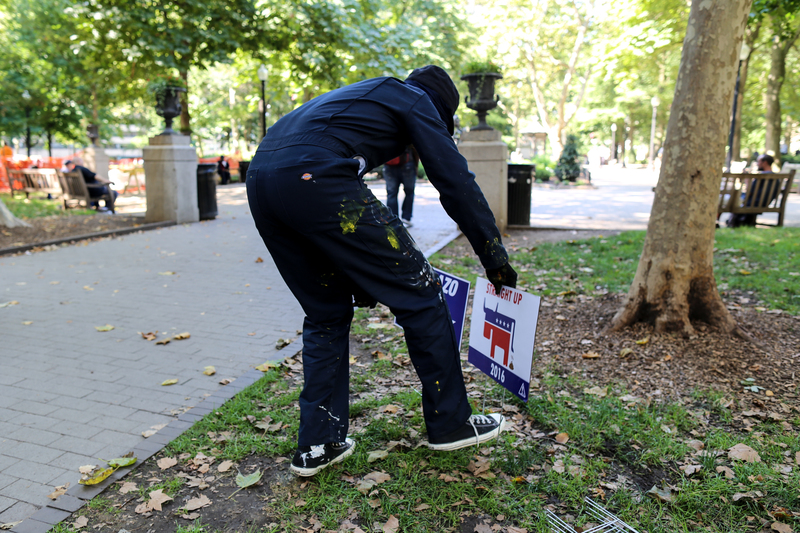 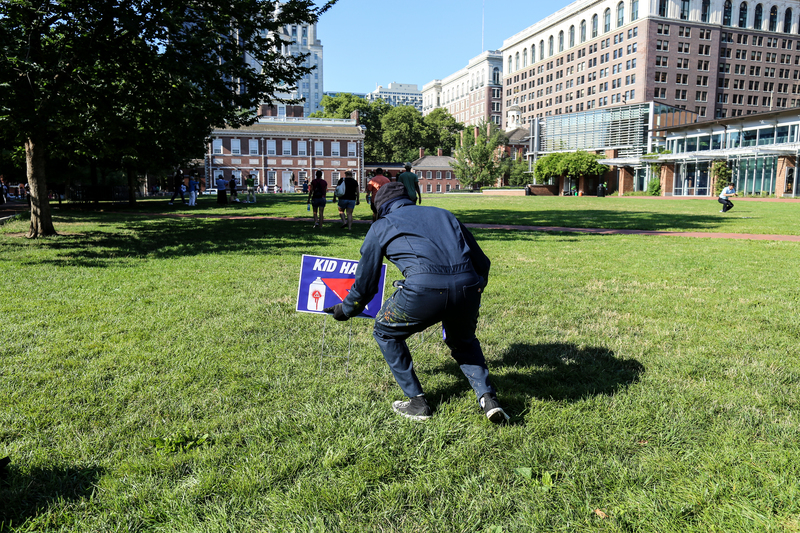 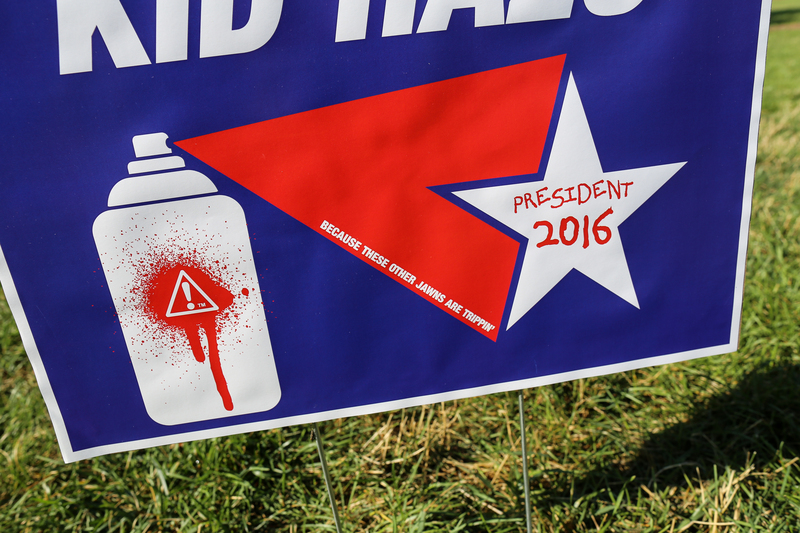 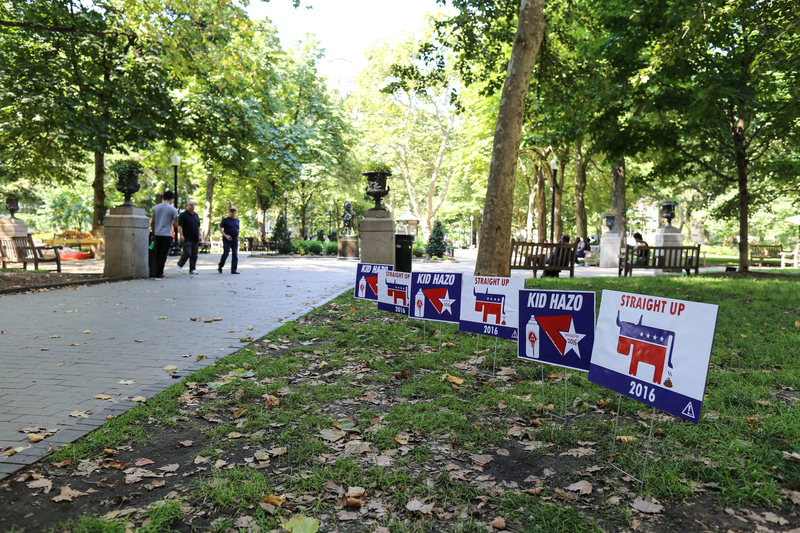 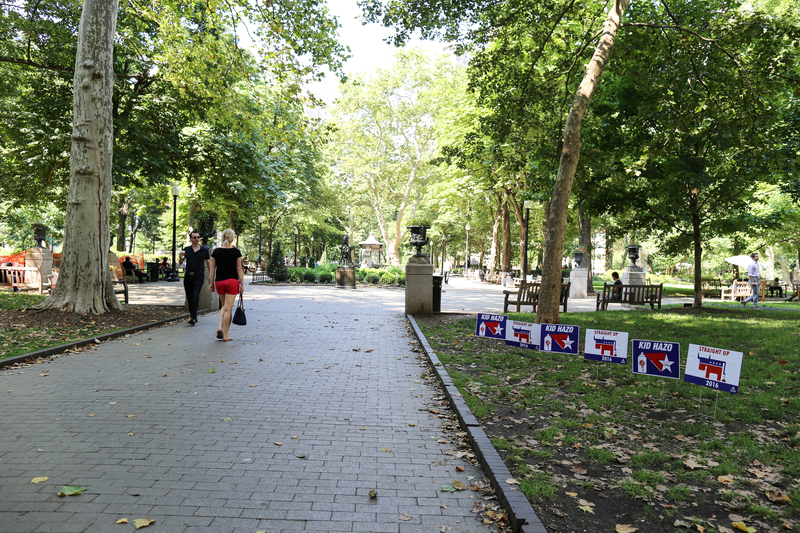 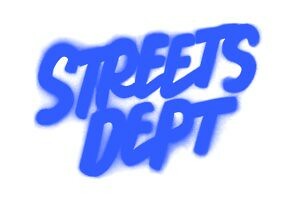 So yes, not only is local street art king Kid Hazo running for President, but he’s having a little fun with the Democratic Delegates who should be streaming into town any day now for the Democratic National Convention, which kicks off Monday. 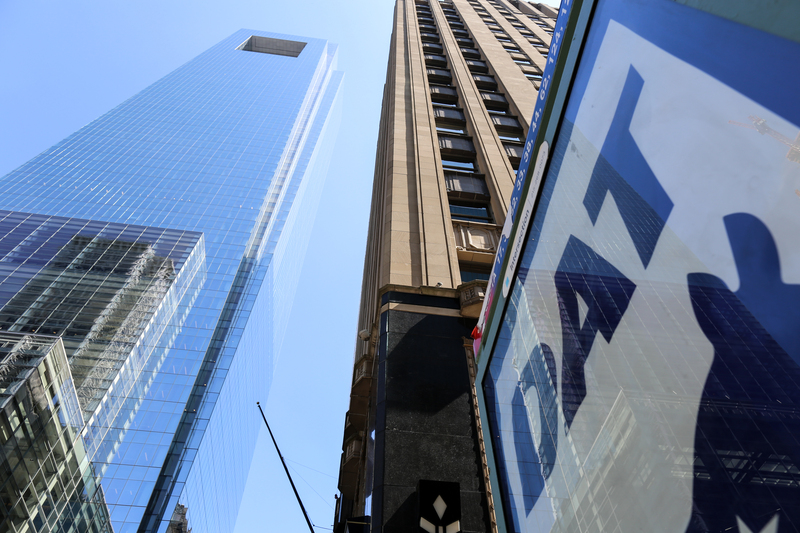 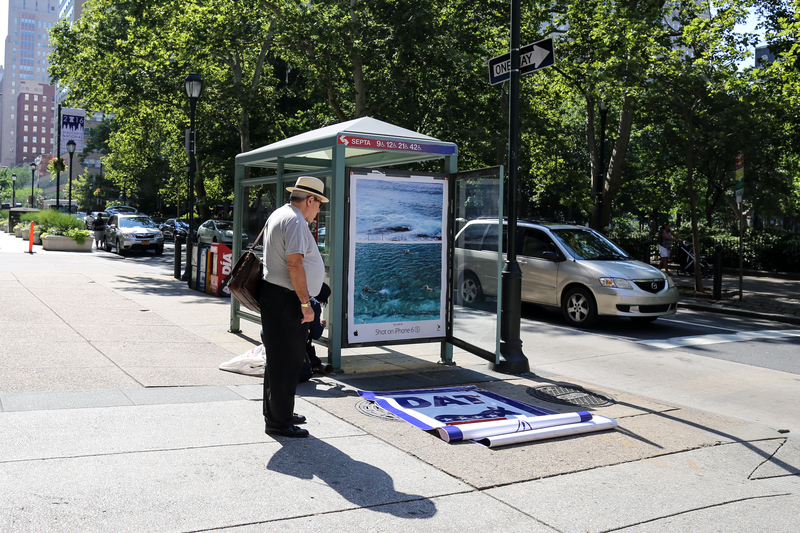 And be sure to check out Hazo’s installations around the Pope visit last year, and other Ad Takeovers by Joe Boruchow and NDA!